Witez was a bay colt foaled on April 1, 1938, at Janów Podlaski (pronounced YAH-noff pod-LAH-skee), a state stud that bred horses for the Polish cavalry. He was the son of the great desertbred sire Ofir and out of Federacja, a mare with several generations of Polish and Hungarian breeding. He was given the name Witez, a word in old Polish meaning “chieftain, knight, prince, hero” as well as “honor, courage, and loyalty.” There had been a previous Witez registered in the Polish stud book, so the new colt was given the Roman numerals “II” after his name. The author of And Miles To Go created two fictional child characters, Stasik and Stacia Kowalski, to create close human relationships with Witez and to illustrate the frightening and oppressive time Poles faced just before and after the Nazi invasion. The Kowalskis were members of the Partisan movement — an underground network of Polish resistance fighters who sabotaged Nazi efforts and played a part in saving the lives of close to 100,000 Jews. Shortly after Germany marched into Poland on September 1, 1939, Janów Podlaski was evacuated on foot (and on hoof) in the hope that the Nazis wouldn’t get their hands on Poland’s best horses. Within a short time the handlers had no choice but to return to Janów, where they experienced even more bad luck. Just two weeks after the Nazi invasion, the Soviets invaded Poland from the east (under the guise that they were protecting the minority populations of eastern Poland from the Nazis) and moved through Janów before the Germans got there. They further weakened Poland’s military, leaving the Polish government to evacuate all troops to France to reorganize efforts. Because of a secret non-aggression pact between Germany and the Soviet Union, Poland was partitioned by both nations. Germany took the land west of the River Bug, which included Janów, and the Soviets held the land east of the river. Soviet troops passed through Janów on their way back to the U.S.S.R., taking with them some of the most prized breeding stock: Witez’s sire and dam, Ofir and Federacja, along with about 100 others. Ofir, sire of *Witez II. He was seized by the Soviets during their first invasion of Poland and taken to Russia. The book’s human hero, the fictional Stasik, attempts to save Witez from the Germans and Soviets by abandoning the evacuated group of horses and wandering in the Polish marshes for days. The boy and horse encounter enemy fire, Polish soldiers who are hopelessly outnumbered, and Partisans working secretly to undermine the Germans. After surviving a serious head injury and recovering with the help of the Polish underground, Stasik returns home with Witez intending to keep the horse hidden in the family barn. The fictional Kowalski family gives us insight into the Polish resistance fighters and their efforts to defend their homeland against two military Goliaths. The Poles didn’t stand much of a chance against the Germans and Soviets, and neither did the Kowalski family. But in the end Poland and its esteemed Arabian breeding program prevailed. Because And Miles To Go is out of print, it can be hard to find at most libraries. You can buy a copy over the Internet, but it won’t be cheap. Most good condition copies go for $75 and up. You can save money by reading the one epub copy at Open Library. Because the Germans seized most of the Poles’ animal feed, there was little to give Witez during the winter. Stasik’s family encouraged him to take Witez back to Janów. The Germans took over management of Janów Podlaski after the Soviets left, but surprisingly things began to stabilize at the stud. The Nazi officer assigned to managing Janów was Major Hans Fellgiebel of the German Armed Forces (the Wehrmacht in German). The new stud manager’s brother was General Erich Fellgiebel, one of the July 20th (1944) conspirators who attempted to assassinate Hitler at the Wolf’s Lair in East Prussia, made famous in the recent film Valkyrie. While at Janów, Hans Fellgiebel hosted meetings of the resistance in his home and was arrested along with his brother Erich immediately after Operation Valkyrie failed. Erich was hanged the day after the attempt, but Hans survived arrest and after the war took a position at a stud in Goslar, Germany. Hans Fellgiebel made few changes at Janów and formed good relationships with the Poles who worked at the stud. He was a true horseman who cared about breeding and training quality horses more than carrying out the Nazi party’s plans. 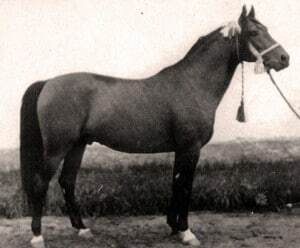 In 1943 Witez was chosen to stand at the Nazi “super horse” stud at Hostouň, located in the present-day Czech Republic. He was among 1,500 horses of various breeds at the farm until it was liberated by American troops in April 1945. He would never return to Poland. 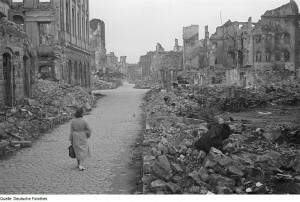 Dresden after being bombed by the Allies. Witraz, the sire of *Bask, and Wielki Szlem survived the devastation. Meanwhile, a group of about 80 horses from Janów was evacuated toward Dresden, Germany, in 1944 as the Soviet army began to march west again in response to Germany’s attack on Soviet territory in Poland. The Janów herd was in Dresden when it was bombed by the Royal Air Force in February 1945. Half the horses were lost but the other famous “W” sons of Ofir, Witraz and Wielki Szlem, were spared. Dresden ended up in the British Zone of Occupation and after the war the British arranged to have the surviving horses returned to Janów Podlaski. But the U.S. Army had different plans for Witez. After the Germans surrendered, the U.S. Army ordered 200 of the breeding stock at Hostouň to be moved more than 200 miles to Mansbach in west-central Germany. Mares with foals were shipped by truck, but mature able-bodied horses, like Witez, were ridden the distance. Many arrived at Mansbach lame, but Witez, who was fortunate to be shod, stayed sound. An American inspector went to Mansbach to pick the best horses to be sent to the U.S. 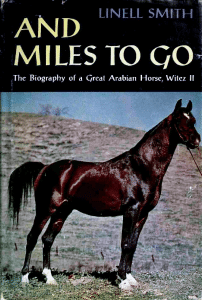 According to And Miles To Go, 18 Arabians, 16 part-Arabians, 15 Lipizzaners, 62 Thoroughbreds, and nine half-breds were chosen for export — including Witez. His Arabian traveling companions included Lotnik, a very fast racehorse who also walked the 200+ miles to Mansbach; Chloe, who produced an Arabian racing foundation mare in the U.S.; Iwonka III, the future grandam of *Bask, one of the most influential Arabians in the U.S.; and Wierna, who walked alongside Lotnik to Mansbach and later became the grandam of Bay Abi. All imports were given an asterisk (*) in front of their names. After their arrival by ship in Newport News, Virginia, the horses were transported by truck to the Pomona Quartermaster Remount Depot at Kellogg Ranch in California where they were used to breed horses for the U.S. Army. The Pomona Remount was closed in 1948 due to lack of funding and the changing technology of warfare, so many of the remount’s horses, including *Witez II, were shipped to another remount station in Fort Reno, Oklahoma. 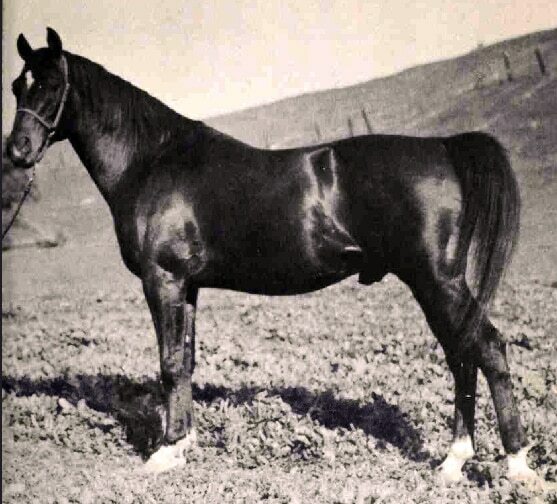 During his time in Pomona *Witez II bred outside mares like Rabkhal, who was owned by Earle and Frances Hurlbutt. 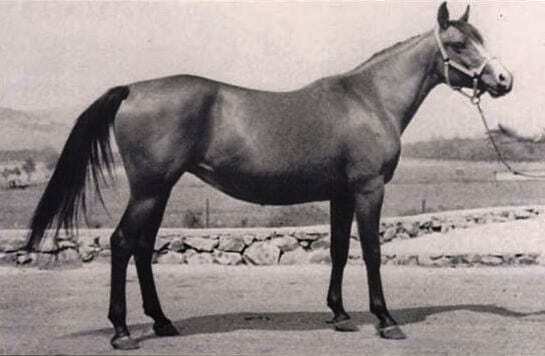 Rabkhal foaled a flashy chestnut colt with a blaze named Zitez in 1948 that left an impression on the Hurlbutts. When they learned all remounts were closing and the horses at Fort Reno would be auctioned in May 1949, Earle bought a plane ticket to Oklahoma and decided he could bid up to $8,000 for *Witez II, roughly the cost of a new home at the time. By afternoon the first Arabian lot was lead into the sale ring, a bay 11-year-old stallion bred in Poland and highly regarded by Poles, Germans, and Americans — *Witez II. The bidding escalated quickly and Hurlbutt hit his limit of $8,000. He increased his bid by $100 more and walked out of the sales arena dejected. As he began to turn his thoughts to the trip home, he was approached by an excited attendee who gave him the good news. *Witez II arrived at his new home in Calabasas, California, owned by the Hurlbutts. Initially he was not shown because the Hurlbutts saw no reason to put their prized stallion through the rigors of showing for a blue ribbon. 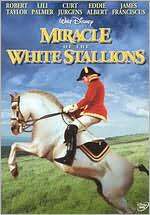 They felt he’d proven his remarkable abilities enough in his journeys from Poland to the U.S., so they kept him as a breeding stallion only. But in 1953 the Hurlbutts were convinced by other breeders to take *Witez II to the 1953 Pomona Fall Show where he took home the Champion Stallion and Grand Champion of Show titles, with his son Nitez earning Reserve Champion Stallion the same day. 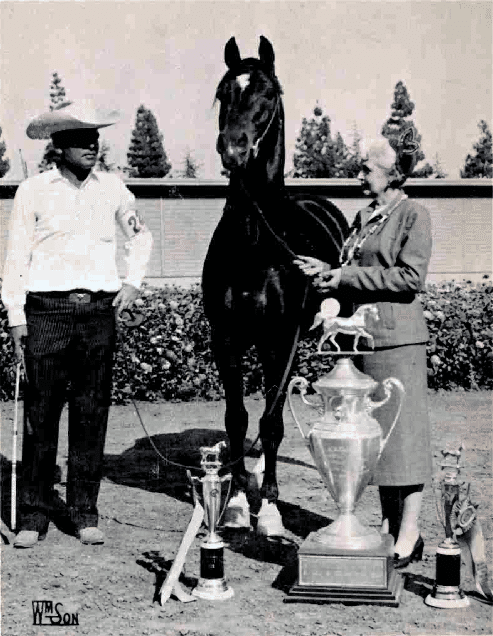 That year *Witez II was also named Pacific Coast Champion Stallion, one of the highest show honors in the nation at the time, and his son Zitez was Reserve Champion. 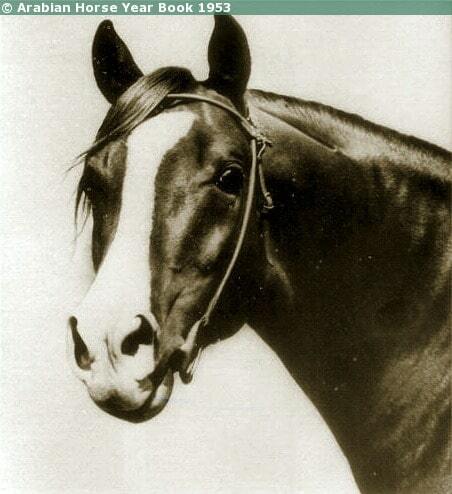 The grand old stallion was retired from the show ring and continued breeding until his death at age 27 in 1965. He sired 223 foals in his lifetime. *Witez II left his mark on the breed by siring horses that were tractable and athletic. He is considered one of the foundation sires of Arabian racing. His son Ofir (named after *Witez II’s sire Ofir) was the winner of the first Arabian race in the U.S. and held records at two mile distances. *Witez II was also the sire of 18 show winners at the national level and several of his sons and daughters went on to sire or produce national winners as well. One of *Witez II’s most famous daughters was Ronteza, who won the Open Reined Cow Horse Championship against all breeds at the Cow Palace in San Francisco, California, in 1961. Ronteza was the first Arabian to win the championship and her rider, Sheila Varian, was the first woman and amateur to win the title. Hans Fellgiebel, the stud manager at Janów Podlaski during the war years, passed his love for horses to his daughter, Inge Theodorescu, and Inge’s daughter, Monica Theodorescu, who has won three Olympic team gold medals in dressage, eventing, and jumping. Established in 1817, Janów Podlaski continues to breed Arabians and Anglo-Arabians for racing, show, and sport. The stud hosts the Pride of Poland sale each year. Having seen your video concerning Witez II and the book, “And Miles To Go”: I was working for McGraw-Hill Publishers in 1967, and my boss was given the first publication of “And Miles To Go” for review.. I still have the note to The Literary Editor dated April 13, 1967 requesting that the book not be reviewed prior to the publication date.. The publisher was Little, Brown and Company, 34 Beacon Street, Boston 02106. Although the jacket of this book is a little tattered, I treasure the book because it was nearly 20 years when we purchased our first Polish Arabian, Limelite, that was 7 lines back to Witez II! Thank you for sharing your personal experience with the book, Arlene! Hang on to your copy because it’s hard to find in print today 🙂 I hope that will change in the not-too-distant future though. I think today’s horse lovers would enjoy the story. For eight years I was blessed to own a double bred grandson of WitezII. His name was Gymtez. Can’t remember his dam’s name but his sire was Yatez. He was a dapple grey and was not only the most beautiful but also the most athletic horse I.ever threw a leg over. Riders would lope from hundreds of yards away just to see him. Thank you for this story. BTW, I bought him in Salt Lake City in 1965, the year Witez died. Thank you, Mark, for sharing your experience with one of *Witez’s descendants 🙂 They are often wonderfully athletic horses! I read “And Miles to Go” shortly after its first publication. (I have always loved Arabian horses and continue to do so.) I was captivated by the story of *Witez II and , over the years, have tried to tell his story to anyone who would listen. I, too, would love to see a movie made telling of his ordeal. Maybe the Disney Studios would be interested as Walt Disney was the one who told the story of the mission to save the Lippizaners. It’s time for us to start reconsidering the types of movies coming out of Hollywood. I agree 🙂 Thanks for your comment, Marti! I read the book And Miles To Go thru your online library recommendation. A trainer, who is working with an unpapered rescue horse I have, recommended it because the rescue horse was born in Poland and imported here as a yearling. He has a mysterious past. Imagine my surprise when I saw his name in the book! Tarakus. He may be a Shagya Arabe from Poland. He is very typey and a dun, as their Hungarian duns can be. Thanks for the recommendation as to how to read the book! Hi Lois! I’m so glad you were able to read And Miles To Go through my article 🙂 That’s a fascinating story about your horse! Thank you for sharing it.